Andy Shauf is a prairie boy, and it shows. From a voice that carries just a hint of a hooser inflection to the simplicity of his style, everything about the Regina-based singer-songwriter’s sound resonates with the homeliness of central Canada. 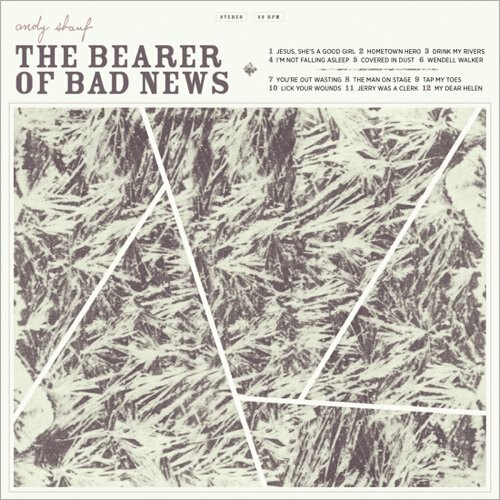 But in spite of the fact that his latest album, the first in four years, is called The Bearer of Bad News, Andy Shauf just might be doing some good for the region’s rep. If there’s one message the album delivers, it’s that even if the prairie terrain is flat, the music doesn’t have to be. That’s not to say that The Bearer of Bad News is bursting with the kind of energy that will make you get up out of your seat and move — because it’s not. It’s a simple, sleepy record that’s everything you’d expect from someone who hails from Saskatchewan. Shauf, on his website, claims to have recorded it in a basement alone, using only a piano, a guitar and a clarinet for all songs, with the exception of “You’re Out Wasting” which features drums. The resultant intimacy makes it hard not to believe him, and it’s certainly an overwhelming presence on this album. Every instrument, every sound comes cross so whole and pure, you can’t help but feel that Shauf is right up close, that the songs are just for you. This effect is only heightened by Shauf’s lyrical style. He alternates between narrative ballads that spin tales about characters (“Hometown Hero”) and descriptions of the mundanities of his own life (“I’m Not Falling Asleep”). In either case, the words roll off his tongue as if he has hardly thought about them at all, beautiful in their simplicity and intimate in their honesty. Shauf comes across as a friend, and his fragmented voice singing lines like “I am not a poet, I’m a broken heart” become all the more emotive as a result. The record is slow and, for the most part, steady, although Shauf has a penchant for incongruously swelling introductions that stand in jarring opposition to the primarily acoustic middles. Regardless, The Bearer of Bad News is proof that the prairies are not all wheat, beef and predictability. Shauf may be single-handedly injecting appeal to the often written-off centre of Canada, one heart-wrenching lyric at a time.